We are the leading window cleaning company Melbourne and have thousands of satisfied clients with us. Whether you are looking to get just a couple of windows cleaned on the storefront once in a month or you want the 20th story of your office to have a clear view or just the kitchen windows, we are responsible to get the job done professionally and perfectly for you up to your satisfaction level. For our safety, we are fully insured. All kind of services is covered by us from all over Melbourne. We provide the guarantee of the best in class services. 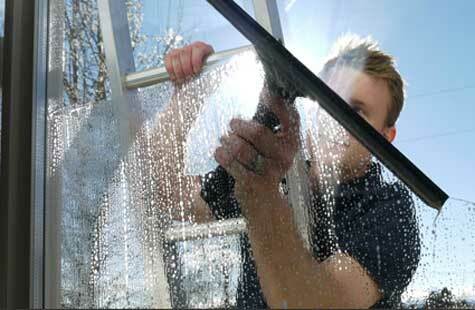 These Window cleaning services Melbourne are highly affordable and cost-effective. We always try to improve our methods and techniques according to the change and advancements in the technology. Our rates are competitive and also we offer free quotes to all the clients. You can also get online quotation any time by filling the details. Our professionals will properly analyze your property and then identify how long it will require getting the work done. Residential Window Cleaning – Sparkling windows not only give a pleasure to look outside but also makes your home look shinier and beautiful and we boast it with our mind-blowing efforts. Commercial Window Cleaning – There are many commercial buildings like schools, restaurants, shops, hospitals and various offices where we offer the Window cleaning services Melbourne. High Rise Window Cleaning – We have specialized equipment to get to the windows which are hardest to be reached so we are the experts in High rise window cleaning. Owner’s Corporation – To keep their properties look clean and well maintained, many of the owner’s corporation organizations rely on our services. Full window cleaning, frames and fly screens. Window tracks brushed and wiped. Sealing of outdoor areas and driveways.